Kick your old beer koozie to the curb – this is the last can cooler you will ever need. Like other drink koozies, the Arctican is designed to keep your hand from warming up the canned beverage you’re drinking. Unlike them, it can keep drinks cold for a whopping three hours, so you can nurse a beer for extended periods without making it undrinkably warm. 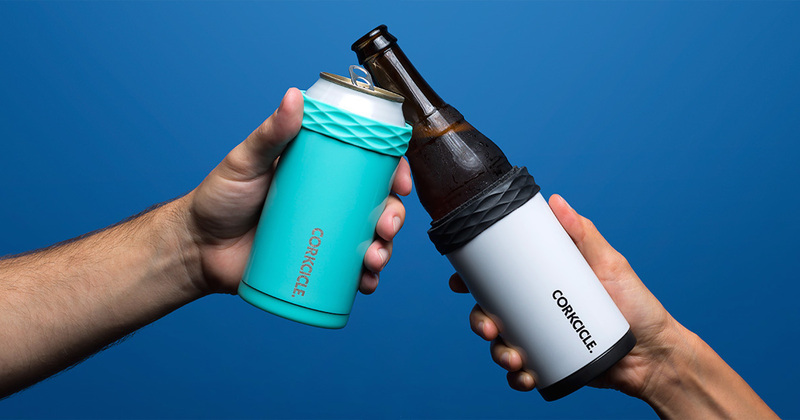 Made by Corkcicle, it’s an overachieving koozie designed to hold 12-ounce cans. Whether you’re chugging beers at a tailgate, drinking cold soda on a hot afternoon, or sipping on that strange whiskey-in-a-can, this thing should keep them deliciously-chilled far longer than koozies are supposed to. Wondering about your favourite bottled beer? Don’t worry. Use the felt sleeve provided for a perfect fit with a 12-ounce bottle! How does the Artican keep beer cold? 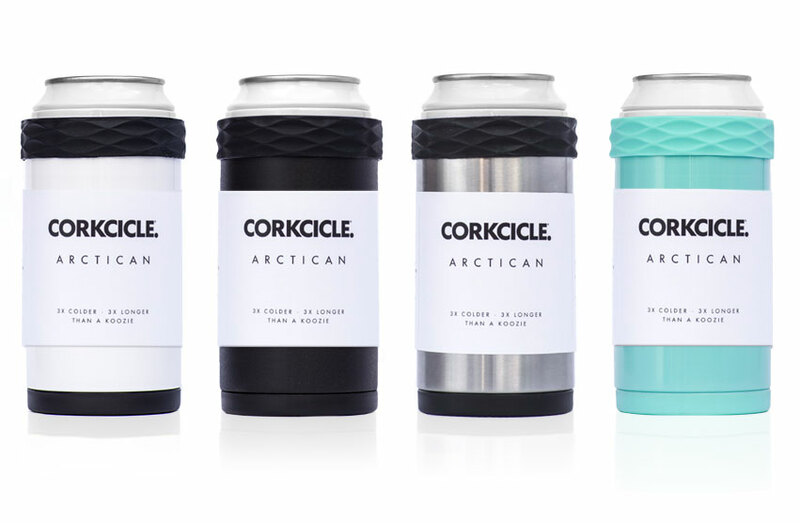 The Corkcicle Arctican is made from double-walled stainless steel, ensuring it keeps the cold in and the heat out, even while keeping your beer in-hand the entire time. More than keeping drinks cold, though, it can also make them even colder. That’s because it comes with a twist-on bottom that you keep in the freezer when not in use, which you then add to the koozie as soon as you realize your drink needs a little help in the cooling department. The Arctican comes in four different colors, matte black, stainless steel, gloss turquoise and gloss white. For just $19.95, you can order your very own beer koozie. Beer Koozies are the best things for keeping your beer can or bottle cold, but do you use them? Now you can with everything you need to know about Koozies right here – personalized, high performance and more. Just in time for warmer weather! Hate Drinking a Warm Beer? So did the inventor of Beer Blizzard.